Cavuto: Why not you [for President in 2016]? 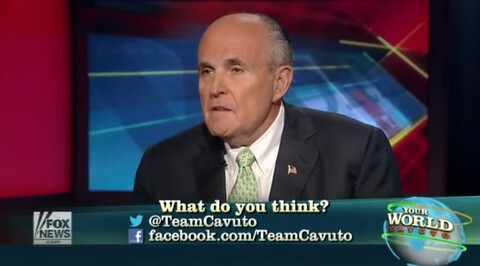 Giuliani: Because I believe I can’t get nominated because of my views on gay marriage, I’m in favor gay rights, I’m in favor of gay marriage. I see it as an issue of equality. I’m pro-choice. I’m anti-abortion personally but I’m pro choice. I’m pro-immigrant and I haven’t backed down from it.